‘Tis the season to grab your smartphone and start adding events to your calendar, because you don’t want to miss what’s buzzing at Hill Country Galleria. Christmas is bigger and more Christmas-y than ever at Hill Country Galleria with a new and spectacular Santa’s Wonderland like you’ve never seen before. Santa is so smitten that he wants to stay way out west with us because he doesn’t want to leave his cool new digs. We think he’s going to list his North Pole workshop on Airbnb. Any takers? 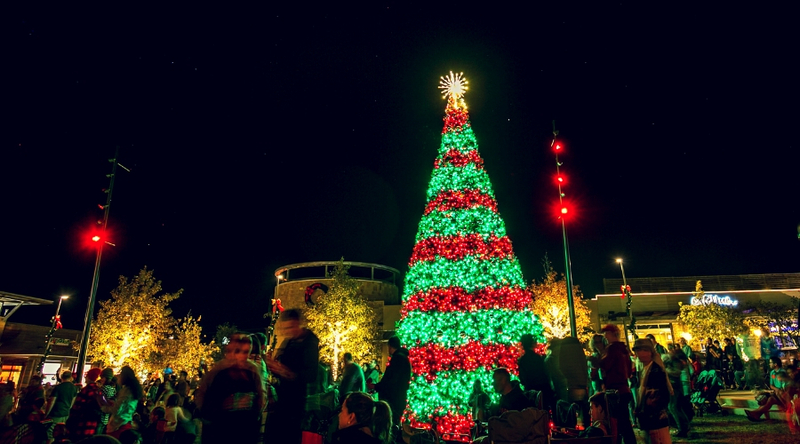 If you want to get in the Christmas spirit, head over to Hill Country Galleria for photo ops galore, extended shopping hours, a family fun run, a nightly tree show and more. In addition to the traditional events, HCG is hosting an exclusive photo shoot with Autism Speaks for children with sensory issues. It’s time to open your calendar app! Anyone who has experience with estate jewelry knows it’s just different than other jewelry. 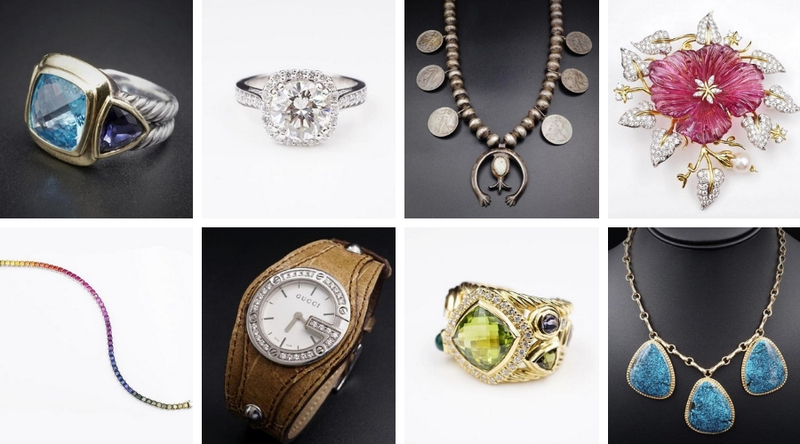 Whether you have a piece that you’ll never part with or you own jewelry that needs a new home, these pieces are precious objects from the past. Their rarity enhances their beauty. In 2015, LTL welcomed Eco Estate Jewelry to the Lake Travis area, and today they’re one of our favorite knowledgeable neighbors. Nobody understands the unique history and value of estate jewelry like they do. A true story that perfectly illustrates the wonders of estate jewelry is one of their customers had a grandfather who purchased jewelry for his wife in 1912 instead of buying her tickets on the Titanic. This is what defines estate jewelry because each piece has a unique history with a fantastic story to tell. If you haven’t explored the world of estate jewelry or you don’t fully understand what kind of services are offered by Eco Estate Jewelry, now’s the time. With the holidays approaching, estate jewelry may be the perfect gift for lots of people on your list, yourself included. You may remember the mother-and-daughter owned shop, The Wardrobe, located in Revival. When Revival closed its doors for good in 2017, The Wardrobe relocated and officially opened on April 19 at the Gateway to Falconhead. The Wardrobe is about triple the size of its old location, which was only 850 square feet. The bigger showroom can accommodate more merchandise and more significant items like furniture and lighting, which owners Karen and Danika are excited about. Shopping at The Wardrobe gives you a casual, yet stylish hometown feeling and reminds you that even in Lake Travis, you can Keep Austin Weird. When it comes to grocery shopping, I believe there are two types of people. There’s the happy-gourmet who loves to cook, “dabble” with new recipes, use fresh spices and leisurely stroll through the grocery store marveling at leafy green vegetables. It’s a culinary adventure! I’m always in a rush, so my goal is to zip through the aisles at an efficient pace — no time for small talk or tasting samples or reading labels — whatever I touch goes in the cart. If I accidentally pick up heavy whipping cream instead of milk, oh well. Grocery shopping is like a military strike — I need to get in and get out quickly with minimal causalities. Over the past few months, my friends have been chirping about “curbside,” and how wonderful it is. Chalk it up to a New Year’s resolution, but I finally gave H-E-B Curbside Grocery Pickup a spin this week. If you’re already a Curbside groupie, perhaps you have some helpful tips for us newbies? Just in time for holiday shopping in the Lake Travis area, Lakeway’s newest gift shop, Steel Magnolia Marketplace is officially open for business. The boutique is beautifully curated with all sort of swoon-worthy gifts from jewelry and baby clothes to soy candles and stationery. Oh, the storefront window with those crystal chandeliers! Uh-maze-ing. What makes this store unique is the movie that inspired it — Steel Magnolias — is subtly woven throughout. Think of it as a living tribute to the 1989 classic. Just like the movie epitomized the bond of female friendships with a twist of timeless humor and a love of all things Southern, so does Steel Magnolia Marketplace.